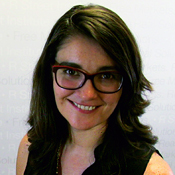 As Vice President, Catrina Rorke helps lead the Climate Leadership Council’s policy research and contributes to its government advocacy and constituency outreach. Prior to joining the Council, Ms. Rorke served as Director of Energy Policy and Senior Fellow at the R Street Institute, a free-market and limited government public policy organization, where she founded the institute’s energy and environment program. She also previously founded the energy program at the American Action Forum, a center-right organization. Ms. Rorke has been recognized by E&E News, The Hill, and National Journal as an energy policy leader, and serves on the boards of several policy-focused organizations. Ms. Rorke served as a Presidential Management Fellow at the National Oceanic and Atmospheric Association, as well as a Legislative Assistant for former U.S. Rep. Bob Inglis (R-SC), helping him craft the first Republican-sponsored carbon tax bill. Ms. Rorke received her Bachelor of Science in Public Health from the University of North Carolina and Master of Public Administration from Columbia University.